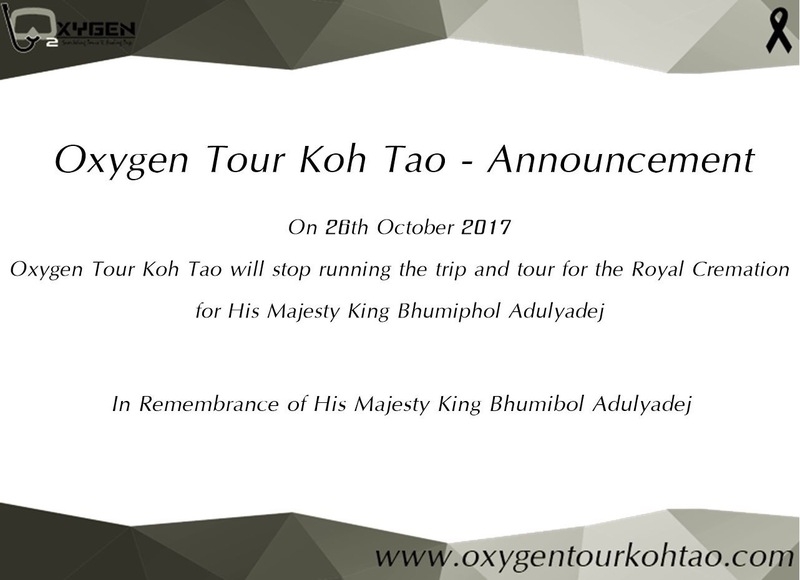 On 26th October 2017, Oxygen Tour Koh Tao will stop running the trip and tour for Royal Cremation of His Majesty King Bhumiphol Adulyadej. In Remembrance of His Majesty The Late King. And our service will be usual on 27th October 2017.